Customer convenience is at the top of the list in today’s fast moving world. In addition, customers are constantly on the lookout for new alternatives for wines and ways to revamp their image. Verallia was challenged to find a way to meet this demand. Designed by Verallia in collaboration with LTC, a Spanish technology company, Virtual Glass by Verallia is a new app based on augmented reality technology. 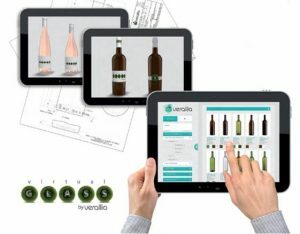 The technology, designed for tablets, makes it possible to simulate the appearance of wines, olive oils, spirits, canning jars, all choosing from among several models o f bottles, glass colors, types of contents, labels and capsules. The application positions the front and back labels and puts the capsule on the bottle. The user can then interact with a tablet to rotate the bottle in any direction, examining it from all angles and perspectives. Virtual Glass even lets users compare different models, generating as many photographs as you wish, with surprising realism. Thanks to augmented reality technology, the 3D simulated bottles can be placed on store shelves or in any environment. It is even possible to compare a virtual bottle of cava or wine with real ones, using the same scale and perspective. This initiative is another step forward by Verallia as it pursues its strategy of innovation and value creation for its customers. Wineries will now be able to start fromscratch and quickly create new products, thanks to this easy-to-use tool. 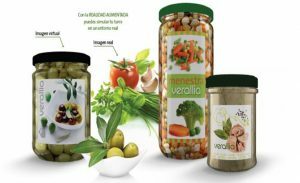 What’s more, the use of Virtual Glass by Verallia also means important savings when producing prototypes and graphic images. This means a shorter design time and important savings when generating visual contents and prototypes. Augmented reality technology makes it possible to compare both real and simulated bottles and jars in the same environment.